© Natalie LeDonne. All rights reserved. 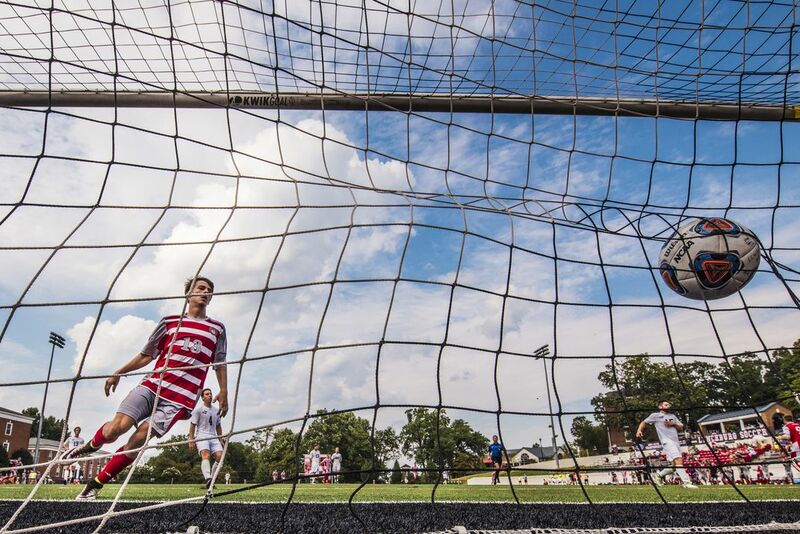 A Lynchburg College men's soccer player scoring during the Juanita College game. Date Uploaded: Sept. 16, 2016, 12:12 p.m.